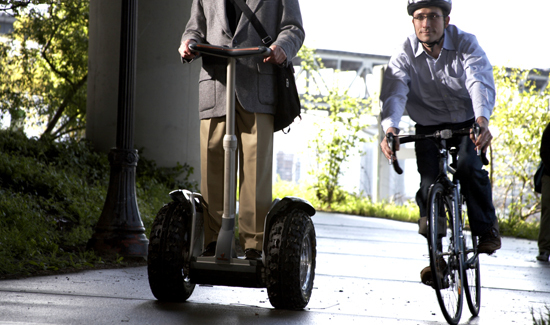 We’re not talking about motorcycles here, but rather Segways. Segways are the bizarre looking ambulatory contraptions that you’ll frequently see security guards whiz by on at the airport or the mall. They were supposed to change the very fabric of human life; instead they just changed the list of stuff that gets made fun of. At any rate, riding these things is harder than it looks—just ask former President George W. Bush. In Idaho recently, some cops decided to give the Segway a few test-drives, and the results are nothing short of hilarious. The best part is Capt. Randy Lewis expressing rock-solid confidence before eating it.